Well, I have to do a little brag about Ms. Beckett from this last weekend. Her first road trip in the motor home and although she wasn’t to sure what to think about walking around a moving vehicle, she settled down and relaxed for our 10 hour trip each way to and from our destination. Her favourite spot was up by the windshield between the seats either sitting or standing, watching the world pass her by. We stopped in at a kennel with several dogs barking behind the fence and puppies on the ground out loose in front of her and not one bark back from her to the dogs behind the fence and she approached the puppies respectfully and licked them as any mommy (this instinct comes natural to her and I am excited to see her with her own litter in the future!) would and just showed me again, how sound and sure her temperament is to new situations and how balanced she is to adapt to her environment. We also went down to a beach area and although she wasn’t allowed in the water, she sat beside my chair by the walkway as different people, kids, dogs, and objects passed by right in front. As I was walking with her, a gentleman stopped me and asked how old, and some other info and commented on how well behaved she is for only 10 months old. 10 months sounds like she is still a puppy but she really is a teenager at this point lol! I am very proud of her and how great an example she is for our breed! 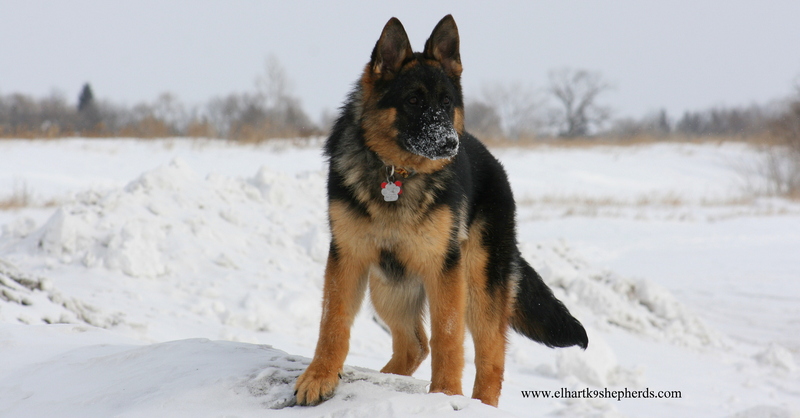 This entry was posted in Posts and tagged breeders, german shepherds, Puppies, temperament.